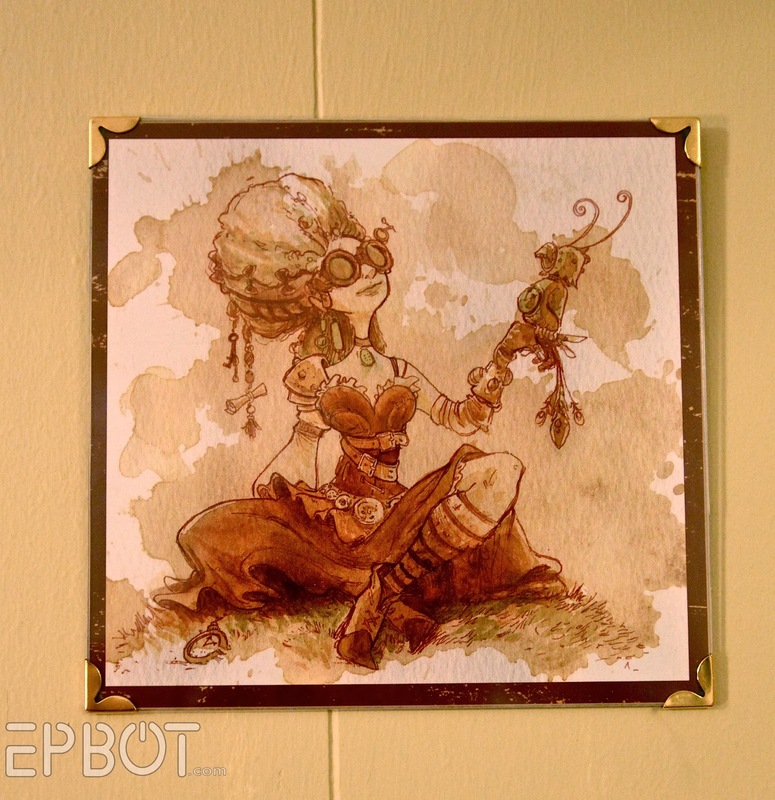 EPBOT: Easy Custom Frames Using Book Corners & Plexiglass! As I sat pondering, the digital photo corners in the calendar's design gave me an idea. 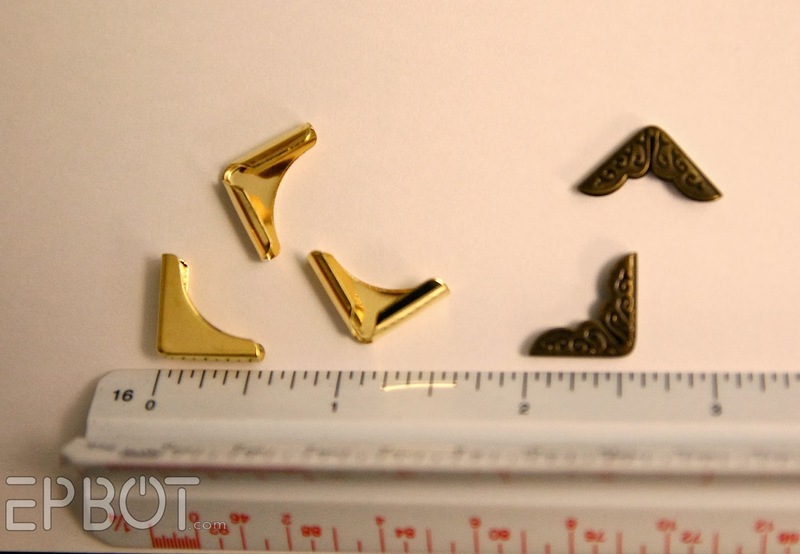 Why not use brass book corners to make custom frames? Kindly ignore the truly outrageous Jem pink, please; the plexiglass is clear, promise. 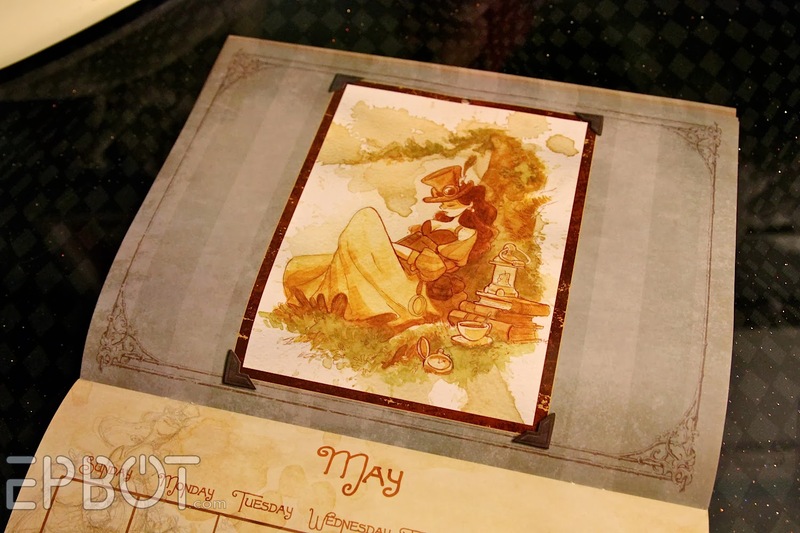 My calendar pages were perfect because each page had a virtual mat already printed in place, but you could always place your own art on a colored background, scrapbook paper, or even use real mats, if you want to get crazy. This doesn't have to be perfect; the book corners will clamp everything down later. Make sure your edges line up, though! Use a pencil; it'll show up on that thin plastic. Overshoot your corners like this, too, to make sure you get a nice clean break. 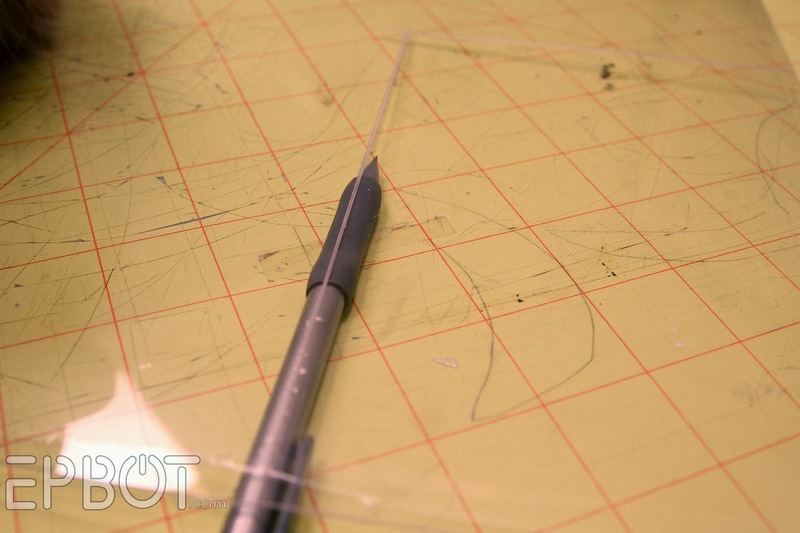 Now gently press on either side of the pencil, and your plexi should snap or tear easily. If it doesn't, don't force it; go back and try scoring the line a few more times. If you force it, you risk snapping off a jagged break. See all those white marks down the top side? You'll get those micro-fractures down every cut line with scissors. Not good. After a little digging, I found a pack of 100 corners in bronze for less than $12 (including shipping) here on Amazon . That's enough to do 25 frames - not too shabby! You can also check the scrapbooking aisle in your local craft store, or find a book-binding supplier online. Just remember you need corners that wrap around the back side; not just decorative ones that stick on the front. 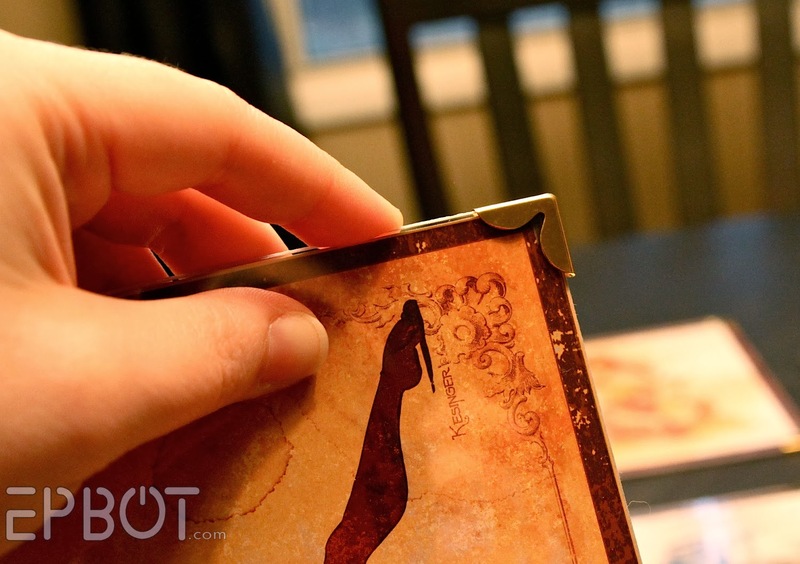 Place your plexi over the art & backer board, and then use a pair of smooth-jaw pliers to clamp the book corners in place, holding the layers together. It helps to pad your pliers with a small cloth, just to be on the safe side; don't want to scratch those shiny corners! When you're done give your corners a tug; if they budge at all, go back with the pliers and clamp them down tighter. I finished cutting 10 pieces of plexiglass and assembling seven frames in just one night - but I think I spent a good 5 hours doing it all. 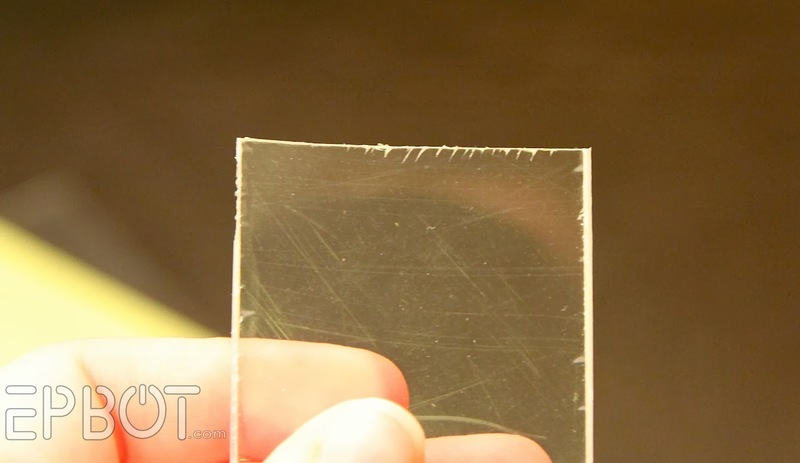 Even the best plexiglass is a bit scruffy compared to glass, of course, but you'll never see the imperfections from any kind of distance - and lookit that beautiful shine! Not quite there yet, but working on it! Happy crafting, and happy framing, everyone! Oddly enough, if you ever want to cut up thicker Plexiglas, the best way to get a clean cut (including the cutters that they sell) is to put duct tape along the places you want a cut and then use a jigsaw. It melts if you do not have the duct tape and the things sold in stores for cutting, if the plexiglass is thick enough, really just score it and the edges look bad. Innnnnteresting! I may have to give this a try. Thanks for the tip! Really, really LIKE. I can think of several uses for this. May I suggest a non-traditional, more abstract placement of your frames? Just a suggestion. Breaking out of that rigid OCD box now and then is good. I'd sure love to, though it would be a long trip from San Francisco. You can always take one group like this (or maybe the next one) and JUST.DO.IT. Everything else could be very symmetrical and even and spaced out. Except for one group. And hey -- if you end up getting all itchy and twitchy every time you look at it (don't I know that feeling?) just change it. If you have them applied with some tacky putty stuff it will be easy. Also, whoopsie. Can you tell math was never my strong point? Jen - the thing I zeroed in for your final picture was your lightswitch plate. One of your prior posts was using rub and buff. When I redid my light fixtures in the kitchen using copper, I went a little crazy and did the rub and buff on the lightswitch plate. It worked great! Thank you for showing us this!! It's a little serendipitous because I bought Doctor Who/Disney calendars (Karen Hallion, LOVE her artwork) for a friend and myself for Christmas, and this was my plan exactly - when the year is over, cut out the artwork and frame it! So I'm absolutely thrilled about this tutorial! THANK YOU SO MUCH! 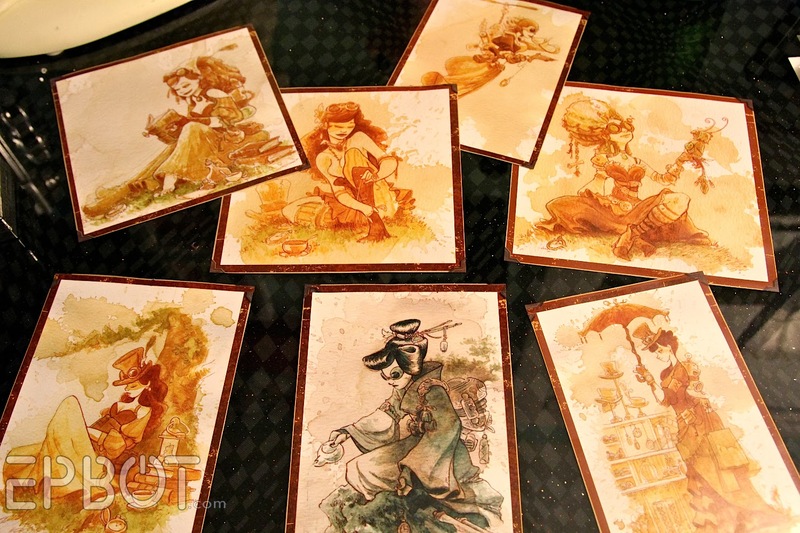 I pick up original art prints at every con I go to and have a stack that don't fit any standard frames and getting them custom framed is out of my price range :( I've been AGONIZING over how I can afford to do this and make it look nice. You're the best! 100 corners are enough for 25 frames! 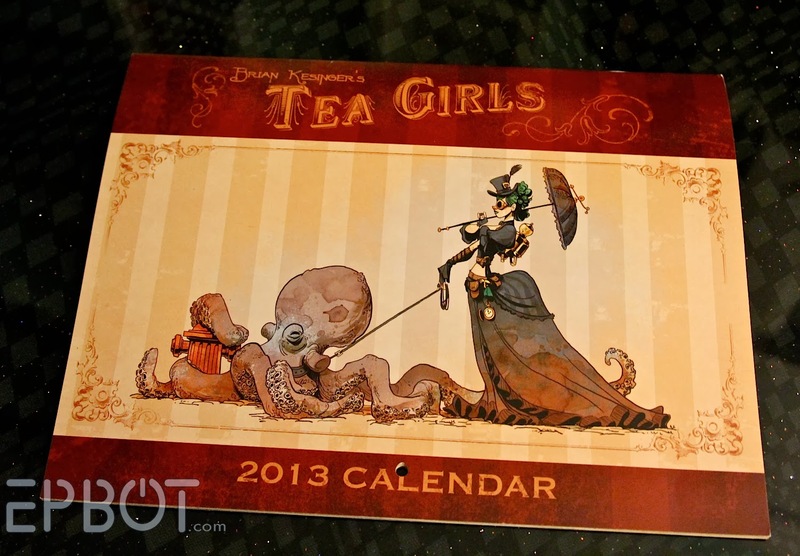 A bit OT, but an alternative use for smaller calendar art printed on cardstock is just to cut it out carefully and turn it into an oversized "postcard". Use the back for the writing surface (though it's best to mail it inside an envelope if it's not sturdy enough to handle being dropped in the mail naked). Really, the "postcard solution" is just transferring the guilt of throwing away pretty artwork from yourself to your correspondents, but hey, it works for me. I used that strategy for some lovely reproductions of Indian miniature paintings from a small 2013 wall calendar, with assorted pastel-colored office-supply "invitation envelopes" that (with a little picking and choosing) even look as though they were meant to match the paintings! 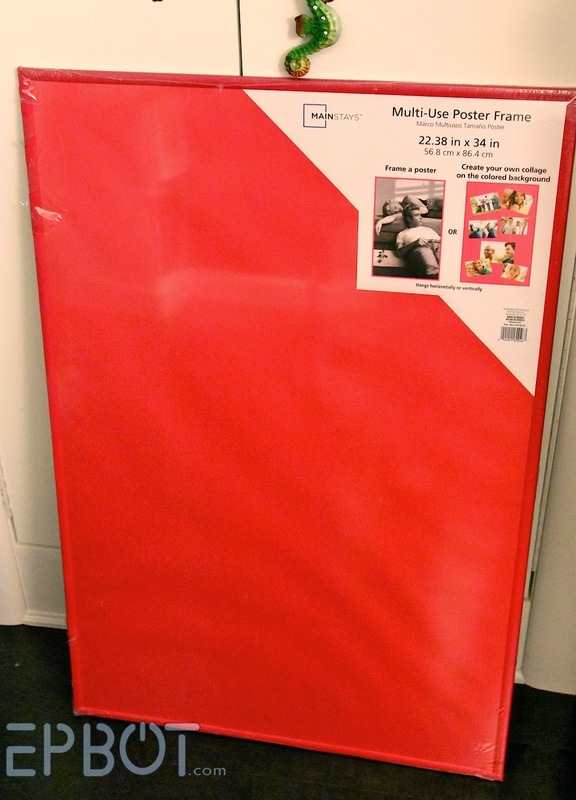 You can buy sheets of plexi at Home Depot or similar, but I've never priced it. May still be cheaper to tear apart a sale poster frame! Also, if you need an even cheaper and easier solution, you could use acetate sheets (think overhead projector sheets or page protectors, for you kids old enough to remember what either of those things are! 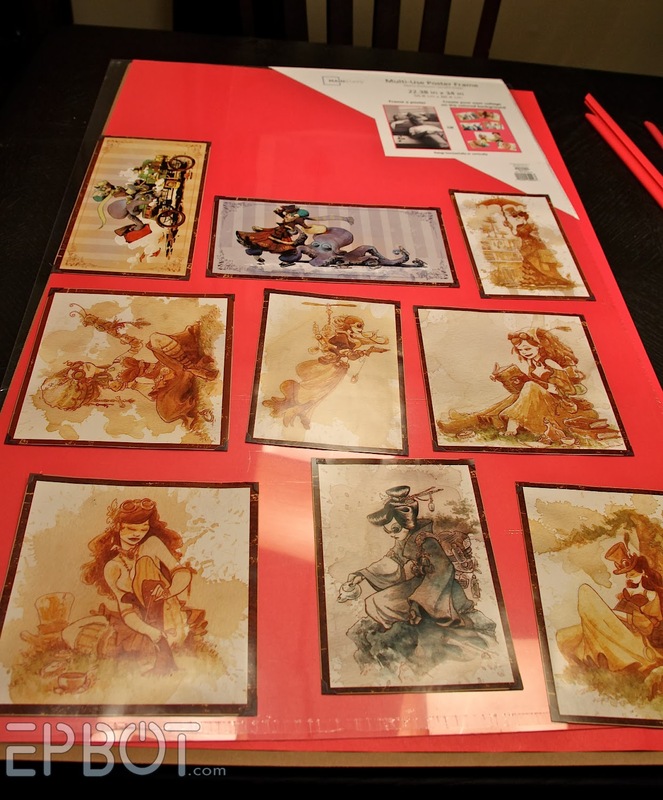 or actual acetate sheets from the scrapbooking department) just to protect the artwork. 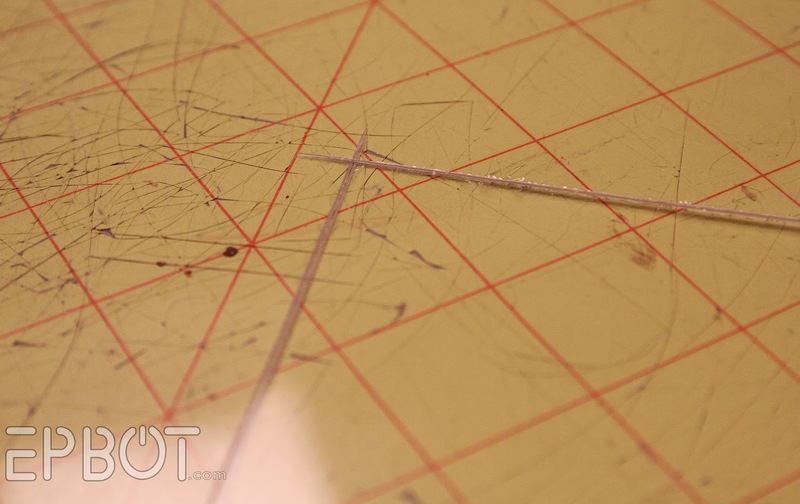 Acetate is super easy to cut with scissors. You might have to double up your chipboard though, to fill out the book corner. Also, if your print ends up a little to heavy for poster putty, 3M makes command adhesive velcro now. 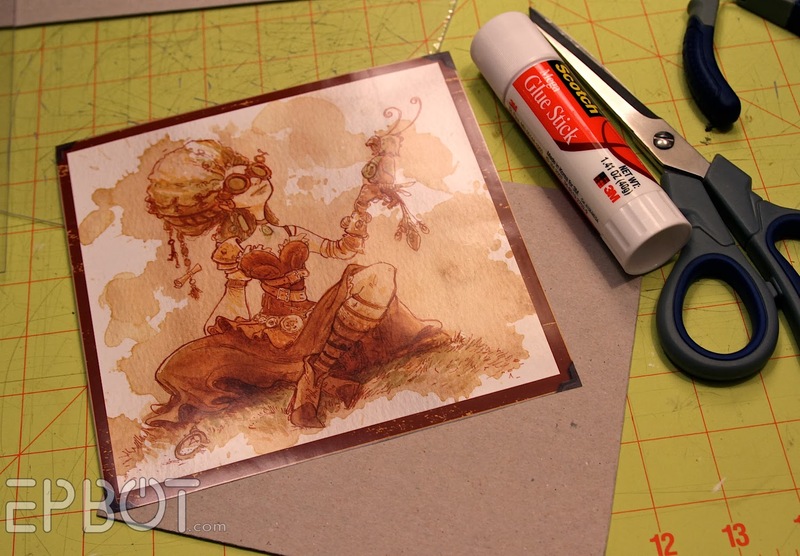 One half sticks to the back of your art, the other half mounts to the wall with their removable adhesive strips. Always such a treat when one of your cats makes an unexpected guest appearance in a photo, Jen. We do love them dearly. Ugh, and there I was hoping the end of this post was going to be "and the others will be on the giveaway board!" :-P Now THAT would make me want to enter. I think the layout problem is that the majority of them are the same shape and orientation, with only one odd shape and two striking colors. I'd recommend starting with the long one in the center and placing the others based on it, since it can't help but look out of place. My OCD manifests in needing to solve problems, so it's killing me right now that my computer died, because I'd so copy the image and make a mock layout. Someone commented about Command making Velcro strips now. They also make picture frame strips that are sort of like Velcro. They work great; I live in an apartment so I try to put as few holes in the walls as possible. These are so cool. The art looks great. You are so crafty, I love visiting this site. The big problem I see with this is what you use for backing: that chipboard is almost certainly really acidic. 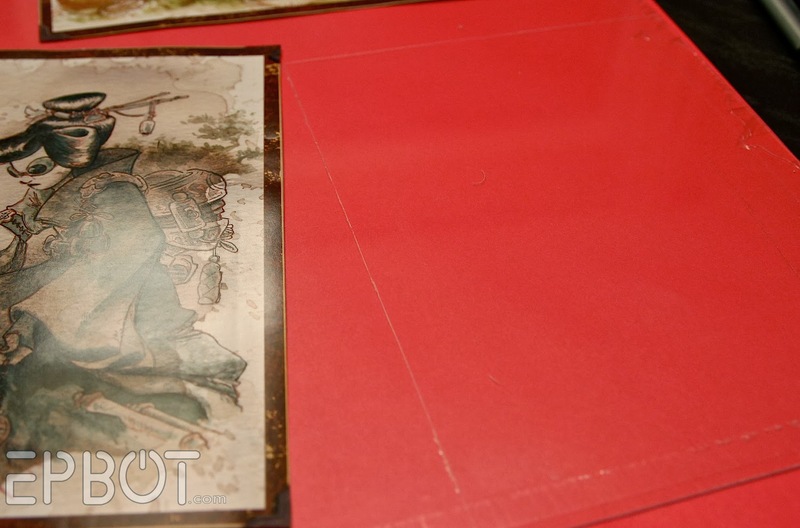 That means that over the years, it will start damaging the prints, turning it yellow and brittle. For pieces that you know you won't want to keep all that long, that's fine. But if you're doing this for pieces of art that you really love and want to keep looking good, make sure that anything it touches is acid-free. 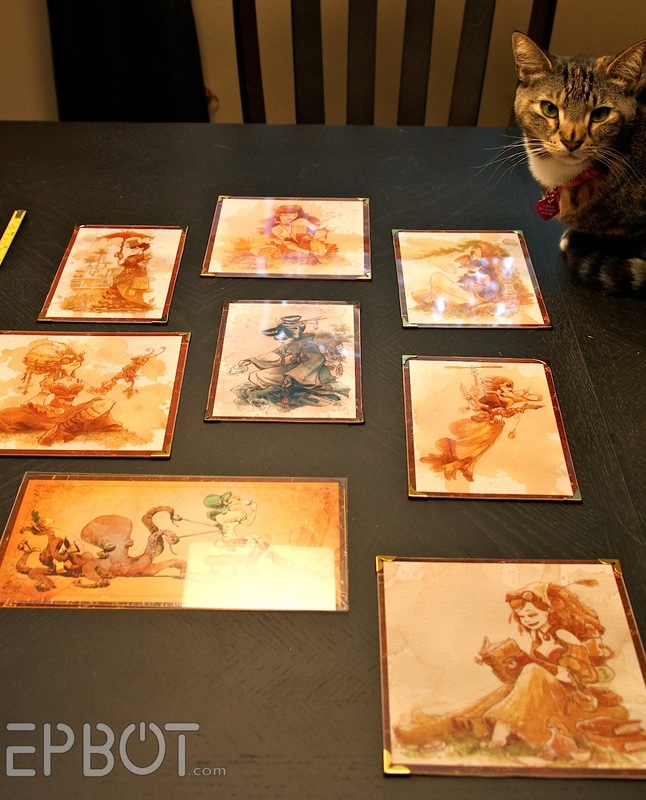 It's more expensive than reusing some old cardstock, but it also won't destroy your artwork, either. These look great! 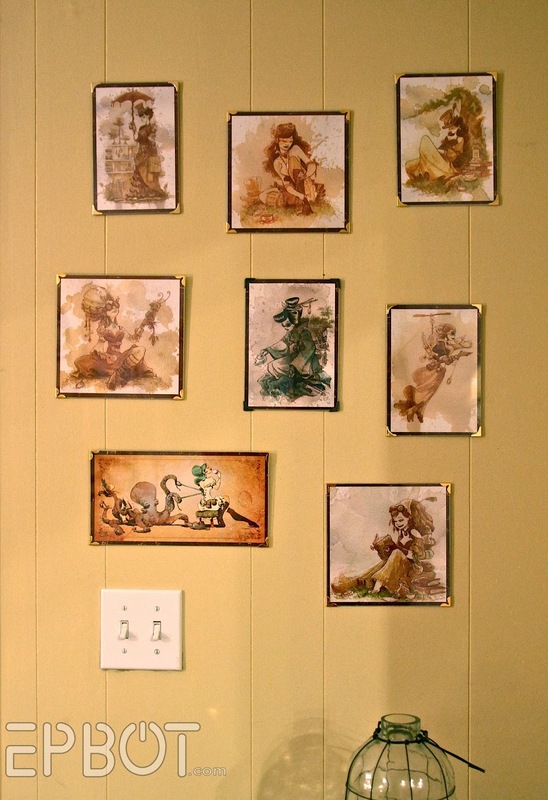 The way you displayed them and mounted them yourself does great honour to the Steampunky subject matter! Also, your cat is named Tonks? Awesome! Oh no! Today Epbot is showing up as being reported to Microsoft as a "dangerous" website. Jen, great project as always! Just wondering - that link you provided to Amazon, is that through your CakeWrecks affiliate site? Just want to make sure you "get credit" for any orders your faithful Epbot readers make on Amazon! I got so inspired by this I had to post a suggestion. Swap the middle picture with the lower left one. The blue green colors will then flow from lower left to upper right and lower right. That will pick up the green in the bottle. A little coppery patina on the switch plate to also pick up the color to pull it together. The color is asymmetric while the shapes are not. Everyone is happy. If it were me :). Nice idea AND thank you for the ear worm. An amazing idea. Simple and functional. Could you please repost the link on amazon? I get a page not found error. It would be even better if you posted the name of the picture frame corners. I can't seem to find any that wrap around to the other side like the ones in your project. I'm just finding the sticky version that goes on the front. Such an amazing idea. I'm so excited there may have been some maniacal laughter over here. XD Thanks so much for sharing yet ANOTHER awesome tutorial, especially since we're still needing some frames for several odd sized art works from cons. I actually have a matte board cutter and everything but yeah that obviously hasn't gotten done anyway so maybe this is what I need, haha! If anyone is still looking at this after 8 months ;) I think the grouping on the wall might look a lot better if the items were much closer together, like maybe only 1/2 inch between them in all directions. Then they look less "estranged" from one another and the individual items become sort of One Big Art, like a collage. Try to fit them together to make a perimeter shape that's pleasing.